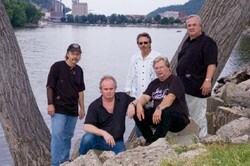 Jesse Brady's last performance, June 16, 2007, Red Wing, MN... If you have pictures you would like to share, send them to; nowwerecookin@hotmail.com . We still have Lg T-shirts and LP's available. We're out of Sm & XLG shirts sorry. T's are $20. each, albums $15. each. This does include shipping in the continental USA. 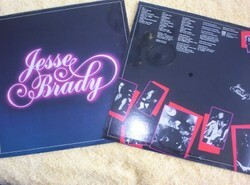 Pictured below is Jesse Brady's self titled album from the early 80's with all original music, with a hit from this album titled "Souvenirs" that received radio play in the 5 state area.